Today AMD introduce to the market the Radeon Pro Duo featuring LiquidVR, the world’s first platform for VR content creation and consumption. 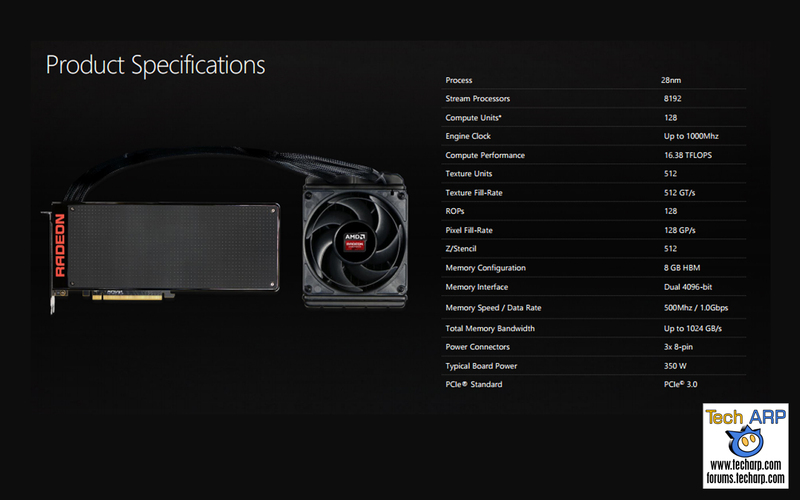 The Radeon Pro Duo graphics card is aimed at all aspects of VR content creation; including, entertainment, education, journalism, medicine and cinema. With 16 teraflops of compute performance, the Radeon Pro Duo offers a complete solution for the VR developer by helping to bring tomorrow’s VR content to market in record time. Virtual Reality demands ever higher compute performance with rock solid consistency. 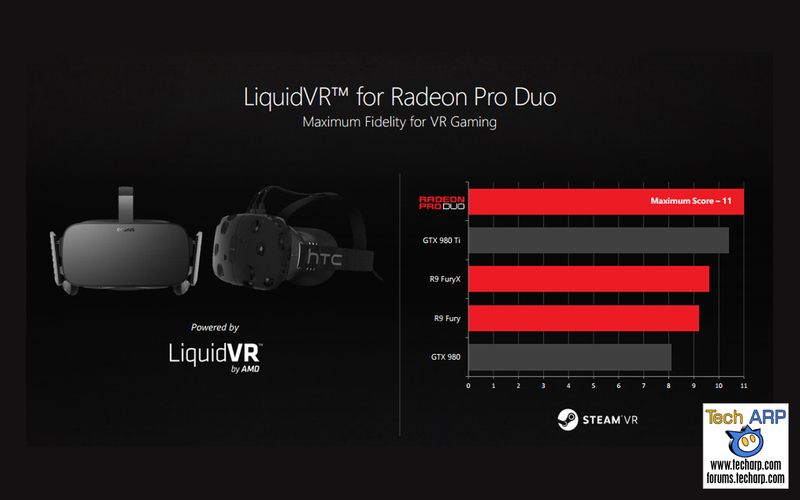 Leveraging our graphics IP across FirePro and Radeon product lines, our new Radeon Pro Duo with the LiquidVR SDK is the world’s fastest platform to enable a world class graphics and VR experience. With the Radeon Pro Duo (Price Check), it’s AMD’s objective to solve major problems developers face, by reducing latency and accelerating the VR pipeline through close collaboration with the content development community and with AMD LiquidVR technology. The Radeon Pro Duo (Price Check) is an incredibly advanced and powerful dual-GPU board that delivers the horsepower needed by VR designers, content creators and VR content consumers. We believe products like this will lead to greater immersive experiences. The AMD Radeon Pro Duo (Price Check) is the initial product of the AMD VR Ready Creator line, and more importantly, it is also the platform of choice for Crytek’s VR First initiative. This program is aimed at nurturing new talent in the field of virtual reality development by powering virtual reality labs in colleges and universities worldwide. 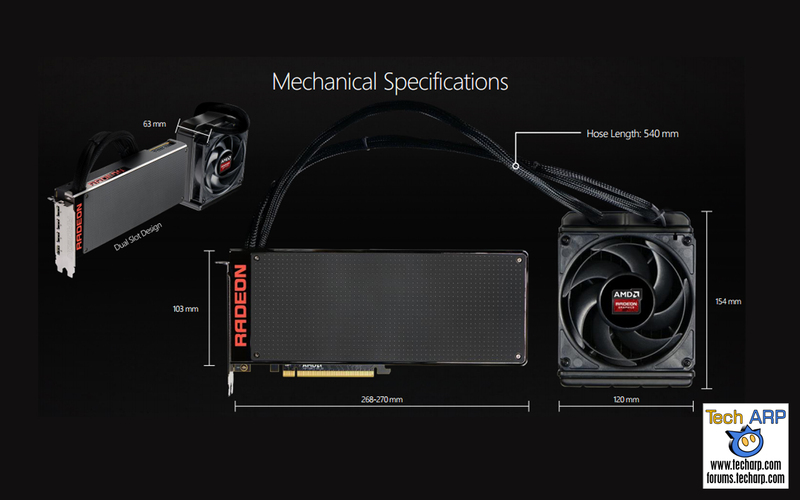 As a graphics card that bridges the needs of both VR content creators and content consumers, it’s extremely fitting hardware to supply to the brightest up-and-coming developers. We believe these developers will surely shape the future of virtual reality and immersive computing. 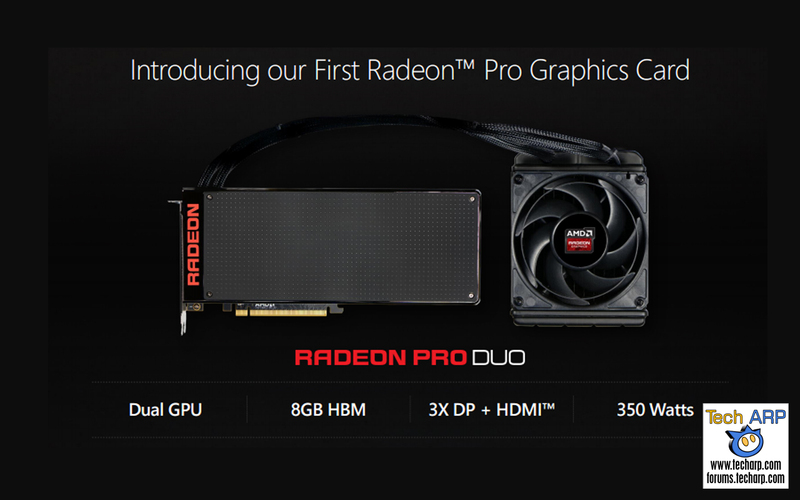 The AMD Radeon Pro Duo is available globally on April 26 from select AIBs and system integrators. Its launch SEP is USD$ 1,499 (Price Check).